As previously said above, the Eazzy Banking App gives the users plenty of freedom to choose from a wide range of in app transactions to perform.Our focus today will however,be on the Eazzy Bill Payments which is uniquely made with the Kenyan's shopping behaviors in mind.In this,the Equity bank went into business partnerships with major government and private companies that provide goods and or services to citizens. The Equity bank went into business partnerships with many goods and services provider corporates and outlets in kenya to ensure easy utility bill payments through the Eazzy app.The bank reserves a list of these companies. 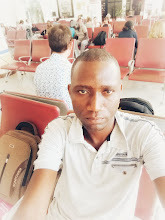 When you type the name of the company you wanted to pay bills to,suggestions will pop up.Its up to you to choose the right company, of which its easy to do. 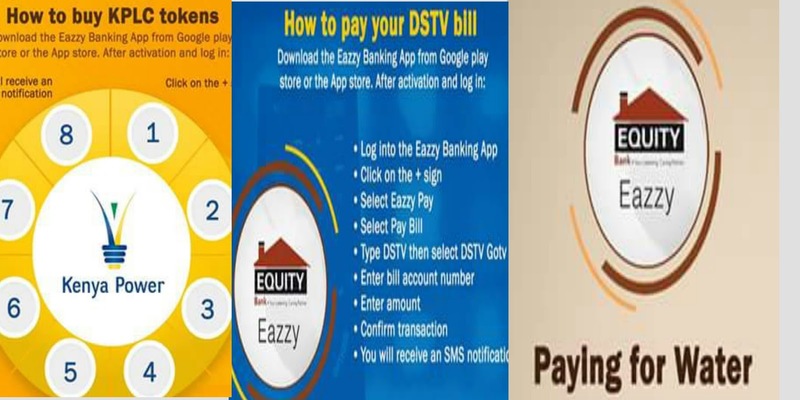 Some of the companies you can pay bills to through Eazzy pay include Kenya power(KPLC),DSTv,Nairobi Water and Julia just to mention a few. This is the your utility account number.Always ensure you fill this part with caution to avoid mistyping inconveniences which results in paying for the wrong account. On DSTv for example the bill account number is found on the card as Account Number.On KPLC,its the found on the meter and on the filled in forms. CAUTION; Always confirm with the right sources (forms or cards) before inputting the bill account number.